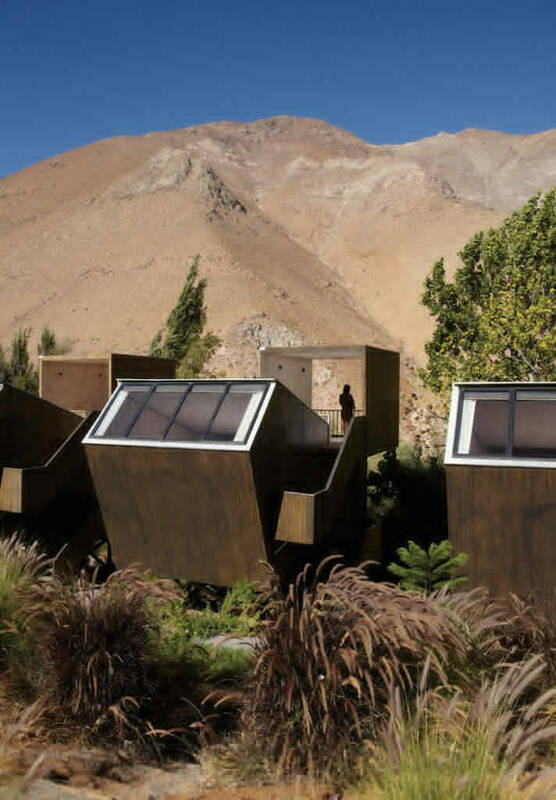 The Elqui Domos Astronomical Hotel was established in 2005 as a niche holiday destination for those seeking a peaceful getaway with stunning views of the stars. 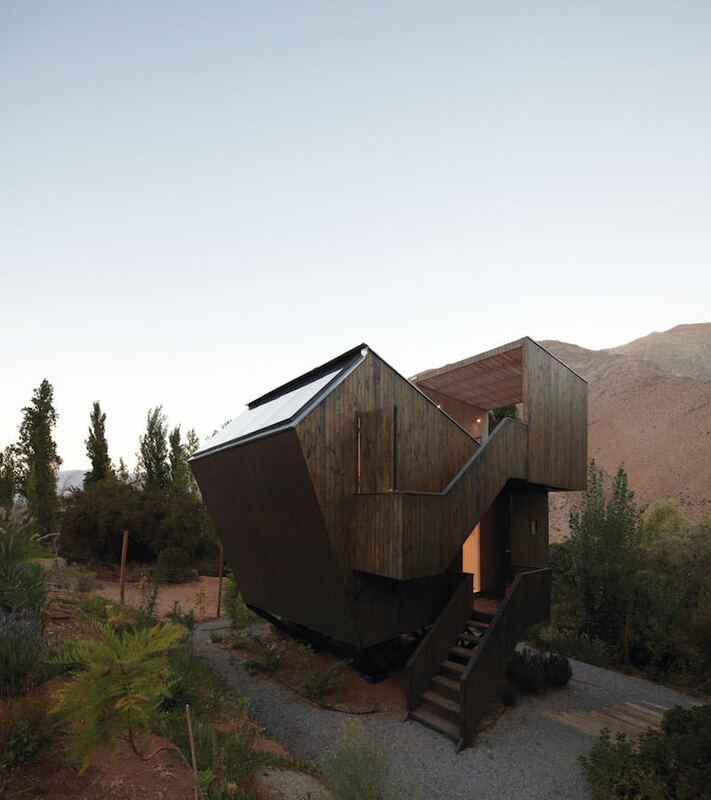 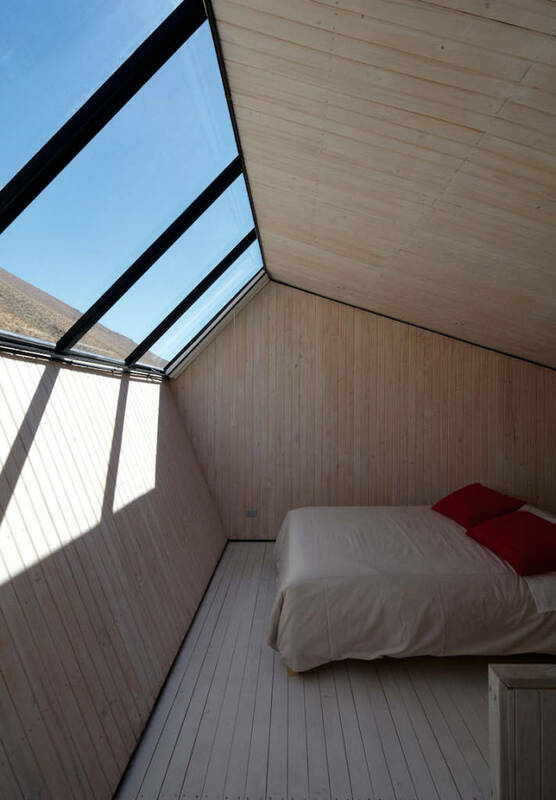 The resort began with a series of fabric geodesic domes for guests to stay in, but Elqui Domos recently sought out Rodrigo Duque Motta to design the four wooden Observatory Lodgings pictured here. 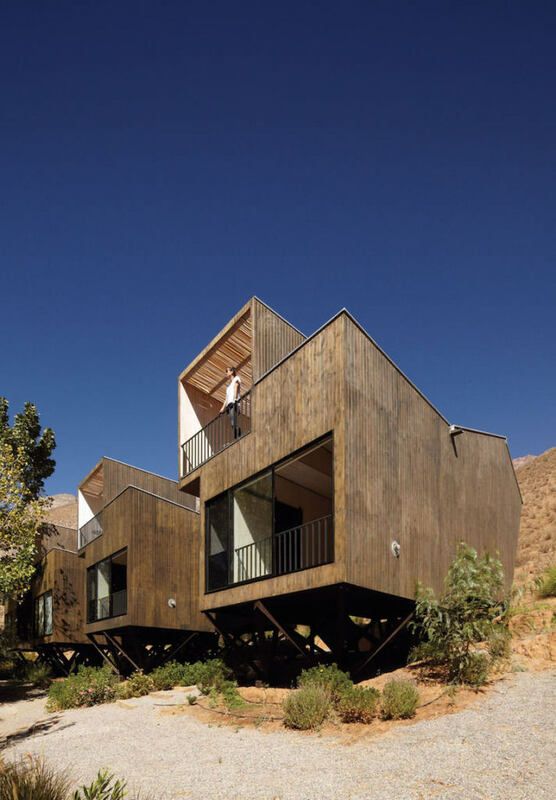 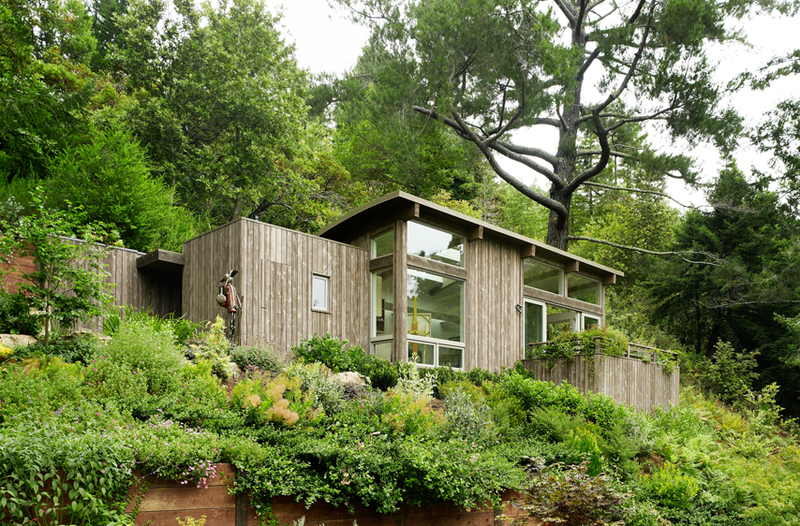 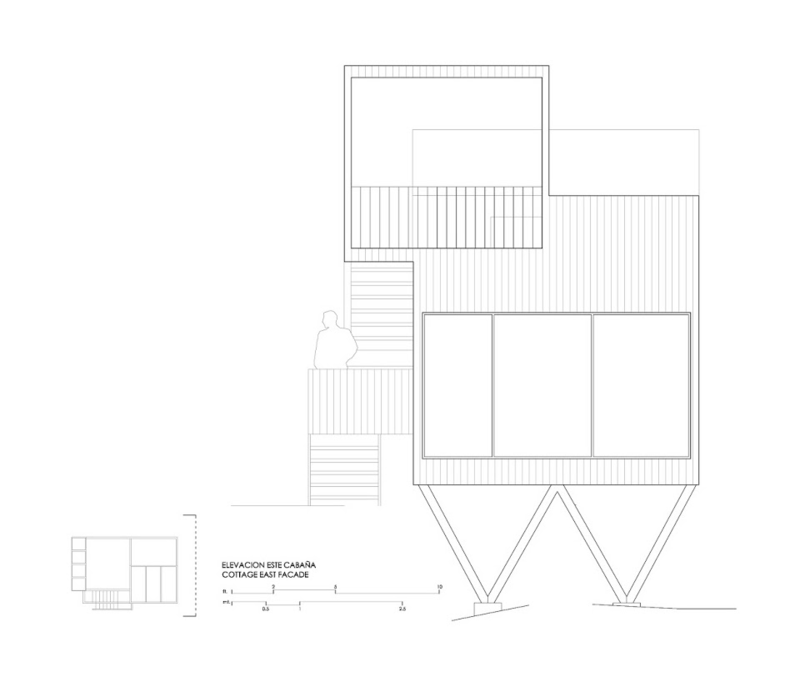 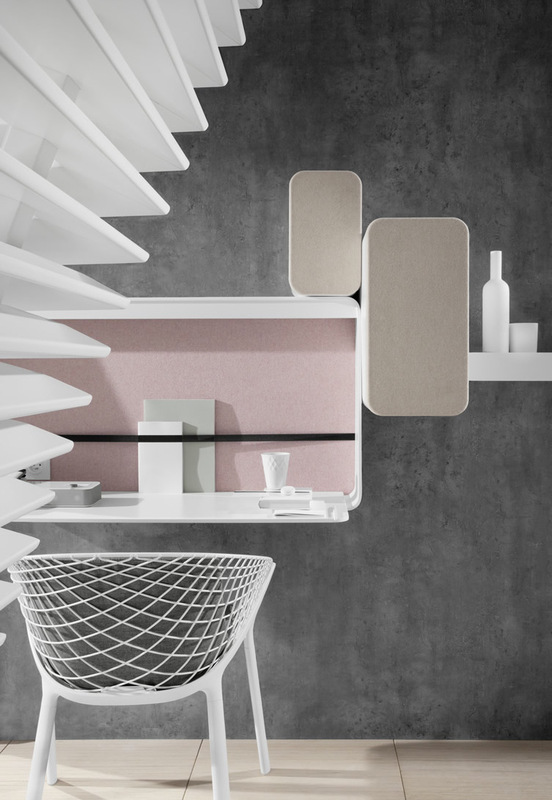 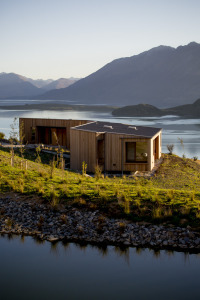 These compact cabins are largely vertical in composition so as to ensure the surrounding vegetation does not obstruct the guest’s view of the sky. 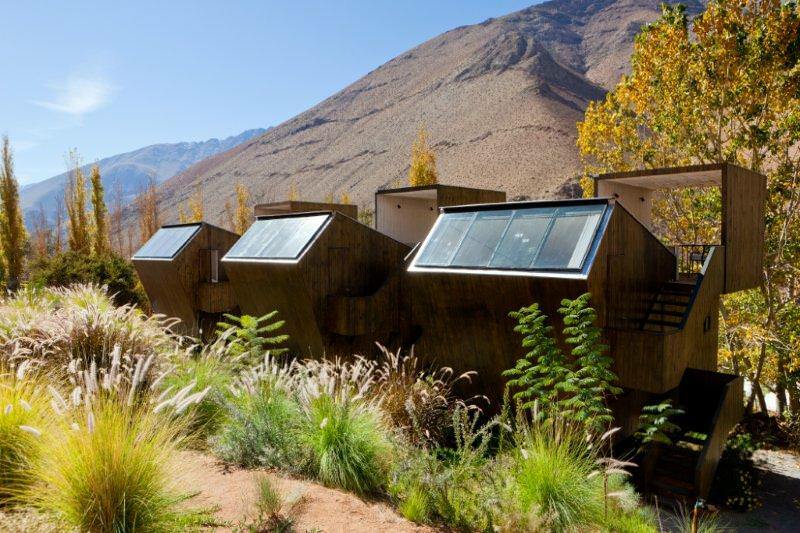 The array of four identical structures stand supported on a framework of diagonal stilts, and each has a large angled window positioned directly above the beds for stargazing. 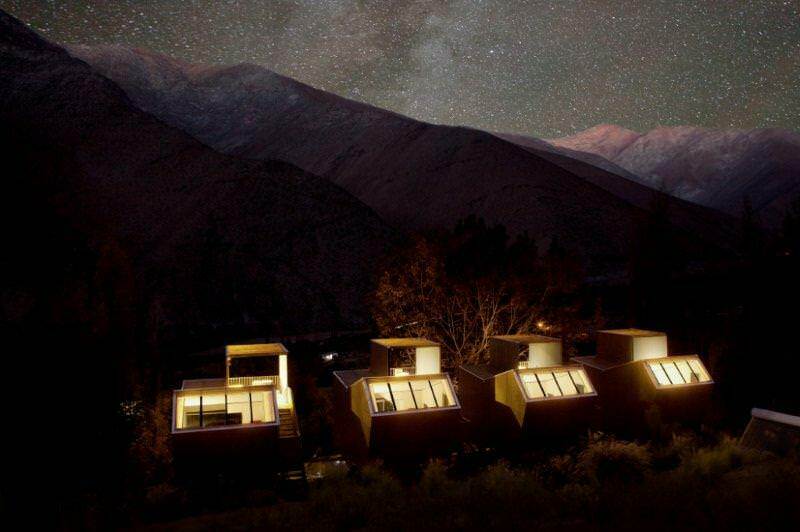 The astronomical resort is situated in Valle del Elqui, a valley in the Chilean Andes famed for its low levels of light pollution, clear weather, and as a result some of the best views of the night’s sky on earth. 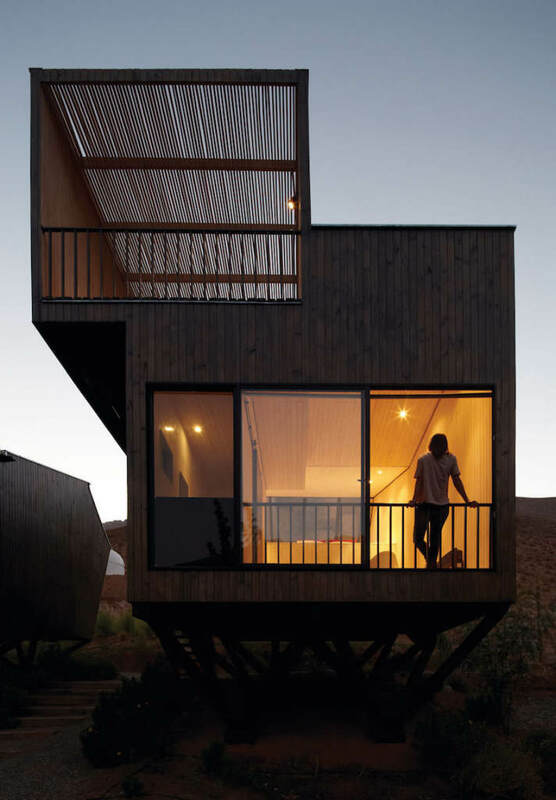 The European VLT (Very Large Telescope) is also located in Chile for largely the same reasons. 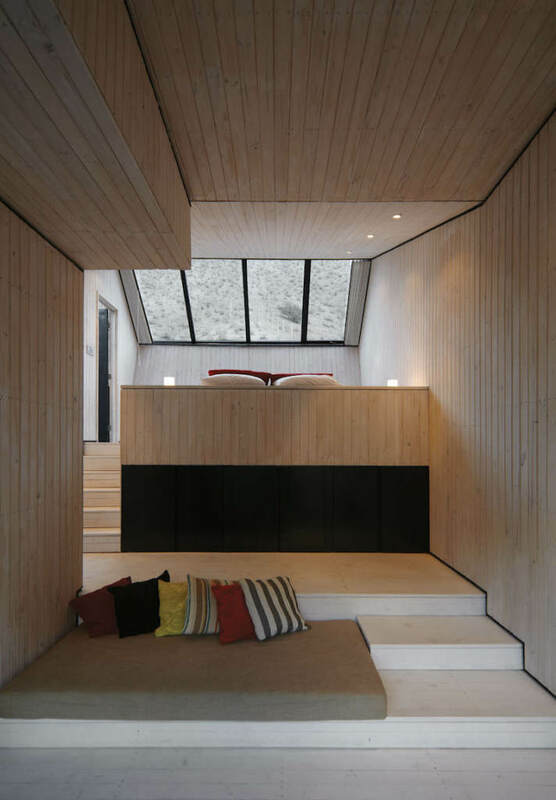 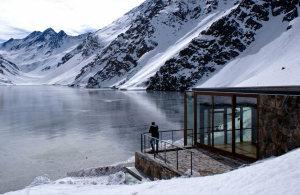 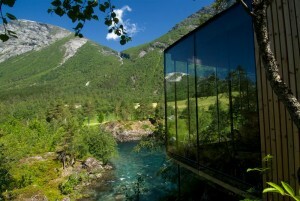 If you liked the Elqui Domos Astronomical Hotel then you might also be interested in the Kakslauttanen Hotel in Finland. 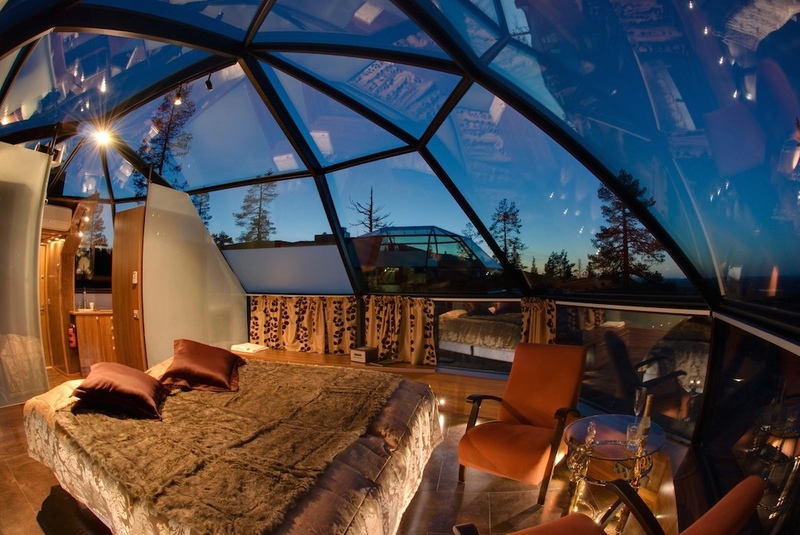 Their glass domed igloo cabins allow guests to gaze at the aurora borealis from their beds.